Cottonwood Tucson is an addiction and behavioral health treatment center in Arizona. It is a luxurious facility that offers treatment for issues such as alcoholism, drug addiction, mood disorders, impulse-control difficulties, eating disorders, spending addiction, trauma, PTSD and co-occurring disorders. The center has a highly trained and qualified staff many of whom have personal experience of recovery from addiction and mood disorders. From their own experience, they are better able to understand the underlying conditions of patients’ behaviors and actions. They are thus in a better position to provide counsel and therapeutic treatment to patients. The treatment programs at Cottonwood Tucson center comprise of an Adult Program, Binge Eating Disorder Treatment (BED), Medical Detox, Cottonwood Assessment Program, Relapse Prevention and Co-occurring disorders treatments. The treatment philosophy is based on the values of Alcoholics Anonymous (AA) and each patient is treated according to his/her needs, abilities and treatment preferences. Based on these factors, personalized treatment plans for patients are created that helps teach patients about their emotional development, meaningful spiritual practice and ongoing life skills. The staff offers an integrative approach to patients to treat them holistically in order to make them a better human being living a happier and healthier life. Situated on the foothills overlooking Tucson, Cottonwood Tucson is built as a luxurious and modern facility on 35 acres of land. The scenery and surroundings of the facility is beautiful and serene. Patients are provided with comfortable living conditions to ease their process of recovery. The rooms are shared among four patients. Rooms are furnished with separate beds, closets and working table for each patient. Every room has an attached bathroom with one shower and two sinks. Rooms and bathrooms have all the basic amenities. Common rooms, group sessions rooms, and art therapy rooms are also present. The patient’s schedules include recreational activities such as swimming, walking, meditation, sports and art. All these activities and therapies help patients recover not just physically but also emotionally and spiritually. Cottonwood Tucson provides patients with five star cuisine. The kitchen staff consists of an expert chef, a culinary team and registered dietician who provide exceptional and healthy meals to patients in the cafeteria. Weekly menus are defined which include new and exotic dishes. Most of the ingredients are organically grown. The executive chef selects fresh seafoods, meats, rice, grains and legumes to prepare daily meals. Patients’ special dietary needs and restrictions are also kept in consideration during preparation of meals. Cottonwood Tucson is an addiction rehab and treatment center that offers services for addiction and mental health issues such as depression, bipolar disorder, anxiety disorder, trauma, post traumatic stress disorder (PTSD), complicated grief and eating disorders. Through an integrated approach that is based on principles of AA, therapies are provided to treat the mind, body and spirit of patients. At Cottonwood, emphasis is also given on proper diet and exercise of patients so that they can think clearly and maintain a happy mood. The qualified and competent staff consisting of psychiatrists, counselors and nurses help in identifying core issues and unresolved psychological problems that cause mental health disorders in patients. The use of cutting-edge and patient-responsive treatment programs ensure that patients are holistically treated and successfully enabled to live a life that is spiritually-directed and have a greater sense of wellness and health. Curt Maddon joined Cottonwood Tucson in 2018 as CEO. Before that, he worked in addiction recovery industry for almost 16 years. He himself was addicted to drinking before achieving lasting sobriety in 2000. 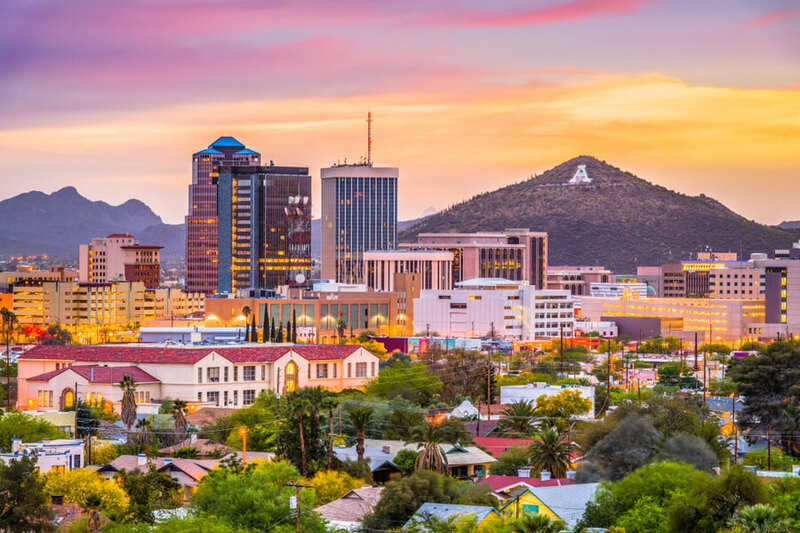 Since then, it has been his focus to continually improve the quality of treatment in the field of addiction recovery and in particular, to improve the level of care and treatment being provided at Cottonwood Tucson. Tab Hoyt has a Bachelor’s degree in Nursing from University of Arizona and a Master’s degree in Nursing from the University of Phoenix. He also had training as Family Nurse Practitioner at the University of Phoenix. He has been providing his services at Cottonwood Tucson for over 25 years. He is certified by the American Academy of Nurse Practitioners and is also a licensed Family Nurse Practitioner by the state of Arizona. Dr. Kelly has a PhD. in Nursing Practice from the University of Arizona. She did her Masters in Nursing from California State University and Bachelors in Nursing from Medical College of Georgia. She had over 10 years of experience working as a psychiatric/mental health nurse practitioner before joining Cottonwood. She has been working at Cottonwood treating psychiatric disorders in inpatient and outpatient programs for over four years.